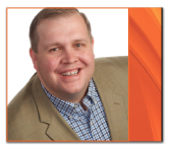 Don’t miss our resident fire protection expert Lee Kaiser as he speaks at AFCOM 2015. On Tuesday September 22nd, you will have the opportunity to learn about developing fire suppression strategies and technologies that are trending in the fire protection industry and how they are impacting data centers right now. Not to worry! Lee will be live streaming his presentation via Periscope.